Ready For A New IT Company For Your Business? Keep On Top Of The Latest HappeningS In IT. Your IT network is the engine of your business communications and connectivity and as such, needs special attention. This requires continuous monitoring and adjustment of IT system performance through advanced tools and technology. It also requires the most highly responsive IT support in Omaha NE, with modern security measures that cover your network and all connected to it, end to end. 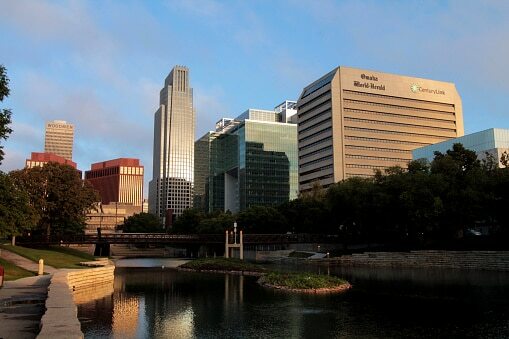 How do you provide the best tech support for Omaha businesses? We neutralize potential and actual threats, whether internal or external to your network, with superior mobile device management, access authorization controls, server security, network and cyber security and much more. Each IT system facet and anomaly is thoroughly analyzed, monitored, and managed as part of InfiNet’s rigorous IT support services regimen. What is your core IT support philosophy? We believe game-changing IT strategy involves incorporating our clients’ overall vision and objectives, with an express goal of delivering maximum IT productivity and performance “ensurability”. We optimize computer network performance through strategies that include a combination of advanced technology, collaborative planning with client objectives, and long-term, threat-preventative measures that ensure less downtime disruption or failure of any aspect of your IT network. What do you have to explicitly say to business owners where regards providing excellent IT solutions? Every business owner wants to be more profitable, and our proprietary IT strategy takes in all elements of what informs that principle. We partner with you, in effect, to build the most efficient, streamlined, performance-ready IT network possible. In fact, we don’t rest until your computer networking infrastructure is guaranteed to be as threat-proof, resilient and robust as it can be. Our IT support specialists also work closely with your in-house IT department or executives to design and develop (if need be) exactly the right IT infrastructure to fit your operations. What industries do you provide IT service in Omaha for? Do you have a competitive managed IT services option? Absolutely! We’re a distinguished managed services provider in Omaha, offering our clients flat-fee agreements that are both highly scalable and affordable. Sounds great. How do I get started? It’s easy! InfiNet is a trusted Omaha network support provider, always ready to take on our next challenge and push the envelope of client satisfaction. If you have an IT challenge for us, please give us a call at 402.895.5777 or email us at support@omahait.com and tell us you want the best dang IT support in Omaha NE!